Come to Energy Storage North America in beautiful, historical Pasadena, California! Just 10 miles northeast of downtown Los Angeles, this convenient to get to, walkable destination, welcomes locals and tourists alike with bursting opportunities to explore its boutiques and vintage stores along Old Pasadena, world renowned museums, a rich history of innovation, al fresco dining options and immersive nightlife. Pasadena Convention Center offers: 55,000-square-foot Exhibit Hall, 25,000-square-foot Ballroom and 29 well-appointed Meeting Rooms. Convention delegates can walk from nearby hotels to the Pasadena Convention Center and Old Pasadena, a bustling 22-block entertainment district offering 200 one-of-a-kind boutiques, galleries, top-rated restaurants and clubs. Important Notice: We highly recommend you to book your hotels via one of our official hotels. Please be cautious of external companies contacting you about hotel reservations for the Energy Storage North America 2018 event in Pasadena, CA. These soliciting companies are not affiliated with Energy Storage North America and are not authorized to handle our housing requirements. 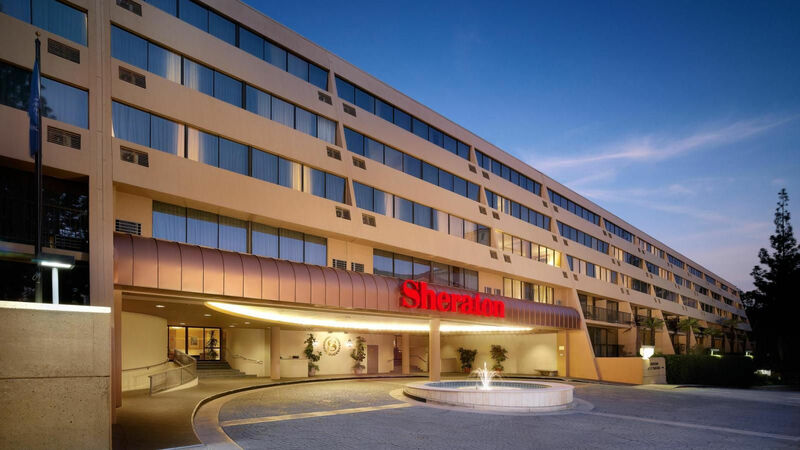 Sheraton Pasadena Hotel - ESNA BLOCK SOLD OUT! Hilton Pasadena - ESNA BLOCK SOLD OUT! Nestled at the base of the San Gabriel Mountains, Pasadena is just 10 miles northeast of downtown Los Angeles, connected to greater Southern California by the 210, 134 and 110 freeways. Pasadena offers easy access to Los Angeles International Airport (LAX) and Hollywood Burbank Airport (BUR). HOLLYWOOD BURBANK AIRPORT (BUR) | 16 MILES AWAY - The closest airport to Pasadena, Hollywood Burbank Airport is known for its convenience and friendly feel. ​LOS ANGELES INTERNATIONAL AIRPORT (LAX) | 29 MILES AWAY - The largest airport in California with millions of passengers passing through its gates and thousands of flights taking off and landing annually. Most of Pasadena is invitingly walkable, and it features a smart, simple public transit system, shuttles, buses and ride-share services that can take you anywhere in the city and to landmarks throughout the region. This light-rail system connects Pasadena’s six stops to Union Station in downtown Los Angeles and to communities to the east. From Union Station, other Metro and Amtrak rail systems offer access to the greater LA area. There’s a place where the hustle and bustle of Los Angeles quiets, and the cultural phenomenon’s of Southern California shines. It’s a city where neighborhood charm meets modern sophistication, and the semi-tropic gold coast climate serves as a year-round backdrop to sip and savor the region’s most tantalizing cuisine. Discover Pasadena, a unique city that blends history, architecture, art, science, shopping, entertainment and dining to create a thriving cultural hub. Surrounded by friendly neighborhoods and family attractions, Pasadena is nestled at the base of the spectacular San Gabriel Mountains, just 10 miles northeast of downtown Los Angeles. The walkable destination, welcomes locals and tourists alike with bursting opportunities to explore its boutiques and vintage stores along Old Pasadena, world renowned museums, al fresco dining and immersive nightlife. With more than 500 restaurants, Pasadena is quickly redefining Southern California’s culinary scene by offering an international menu of artisanal eats, handcrafted cocktails and local breweries. From charming outdoor cafes to elegant dining, the city offers everything a hungry visitor would want and more. For those that admire the arts, Pasadena is the heartbeat of the regions cultural side. Art connoisseurs can find a myriad of landmark museums and galleries, housing everything from European masters to early California Impressionists to modern art. Literally lovers can peruse rare books and manuscripts. Nature lovers can explore miles of stunning hiking trails, botanical gardens and watch entertaining art performances and live concerts. A tour of the town will lead to a beautiful tree-lined shopping district along South Lake Avenue, galleries and specialty shops in the landmark Playhouse District, 19th century structures and quaint alleyways in Old Pasadena, and an outdoor shopping village in The Paseo. ​Pasadena’s collection of conveniently located hotels range from quaint little inns and charming bungalow-style properties to brand hotels and luxury resort.